As you wrote Time for Supper, was there a specific memory of Communion or the Lord’s Supper that kept coming back to you? If so, what was it? When I was five years old, we visited my grandmother’s church when they were having the Lord’s Supper. My parents would not allow me to eat the cracker or drink the thimble of juice for several years, but on this occasion I was sitting with my aunt whose theology is suspect. I had been eyeing the grape juice for some time. I could not let myself believe that this was finally going to happen, but it did. Aunt Hilma Joyce handed me a shot glass of Welch’s. The nectar of the gods tasted even better than I had imagined. I was five years old, but I longed for something to happen in worship, to taste something, do something, and feel something. I keep coming back to the way in which our worship is consumed with listening. Most of us don’t taste, do, and feel nearly enough. Can you talk a little about the structure of your book? Why did you put this collection together as you did? How did you choose Scripture passages? I thought one way to recognize the depth of our experiences at the table is to follow the church year. 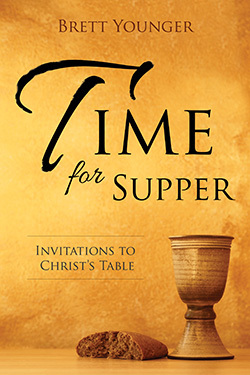 Time for Supper is a Christian year of fifty-two different invitations to communion, because supper is not the same on Christmas Eve as it is on Good Friday. My job was not to choose Scripture passages, but to listen to the passages that invite us to the table. In your book’s introduction, you hone in on memory’s role in faith—but isn’t memory notoriously unreliable? What does this mean for the faithful as we gather together, remembering all that God has done? As the early church celebrated communion each Sunday they did move farther from the details of the Last Supper, but they grew in their understanding of how God’s grace changed them as they shared bread and cup. Faith is not getting the details right; faith is giving ourselves to God’s grace. There is a real emphasis on story in your book—on the stories of Scripture, on the stories of culture, on the stories of people’s lives. Why is story so central to Time for Supper? I do not completely understand the story we experience in the Lord’s Supper, but I am sure that nothing we can do disqualifies us from a place at the table. When I looked him in the eye on Sunday and said, “This is the cup of forgiveness” it never seemed truer. 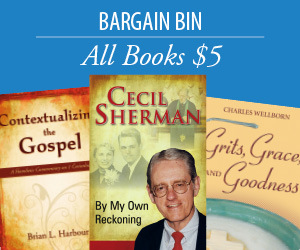 Christians come to the table to learn, reenact, and re-experience our story. We find our individual stories in the larger story of God’s grace. The supper is an opportunity to hear God inviting us to a better, bigger story. As a people of faith, how can we make the Lord’s Supper more meaningful in our lives? How can we enter more fully into this act of remembrance? We start by seeing that the Lord’s Supper is more than an act of remembrance. We come to the table not just to give thanks for Christ’s death, but to know Christ who is present. We pass the elements as a priesthood of believers offering communion to sisters and brothers. We eat the bread as a foretaste of the heavenly banquet. We drink the cup as a way of accepting God’s mercy. We leave the table knowing that God loves, forgives, and calls us.